Dive Into Lembeh is the perfect resort for photographers and macro-enthusiasts looking for stylish accommodation, some special creature comforts and a superb location. Dive Into Lembeh is located in Kasawari Bay on the Sulawesi mainland, towards the northern end of Lembeh Strait and away from Bitung and its busy port. The resort is laid out across a beautiful plot of land guaranteeing plenty of peace and quiet and sea views for each of the resort bungalows. Unusual for Lembeh, the resort also has a big pool and a beautiful black sand beach for guests to use, right in front of the resort. The resort’s location on the mainland means transfers from Manado and its airport are very easy , and side trips to places such as Tangkoko are simple to arrange - guests can dive Hairball in the afternoon, then head off in search of tarsiers in the early evening. The resort has been designed and set up to cater for muck divers enthusiasts and photographers. The dive centre has a fantastic camera room with plenty of space for working on equipment and charging batteries, and dedicated wash tanks. As the resort management likes to say, “Dive Into Lembeh was built by divers, for divers - a tailor-made resort for diving in the Lembeh Strait” - the prefect resort for those looking for an amazing muck diving experience in Sulawesi. The 9 spacious bungalows are equipped with satellite TV, air conditioning, ceiling fan, minibar, safe and ensuite western-style bathroom with walk-in shower. Drinking water is provided in all bungalows in the form of a five gallon hot & cold water dispenser, with tea and coffee facilities available for use. Each bungalow has a private balcony with private ‘onsen’ hot tub, comfy bean bags for relaxation as well as a drying rack. The resort has been cleverly designed to ensure that every room, and the restaurant and bar, all have a great sea view looking across the Lembeh Strait and to Lembeh Island. The resort restaurant is open air and serves a fantastic selection of Indonesian and Western dishes. Comfortable seating and a beachside fire pit encourages guests to hang out and share their experiences of the day’s diving. The resort also has a large 18m pool with spacious sun deck - perfect for sunbathing between dives - and a spa that offers a range of luxurious Indonesian treatments. Each of the 9 beautifully appointed bungalows have been carefully placed to provide guests with stunning ocean views of the Lembeh Strait and has its own private Japanese-style ‘onsen’ hot tub on the veranda - an ideal place to warm up after a long muck dive. All materials and labour for the construction of the bungalows was sourced locally to ensure the resort puts as much back into the local community as possible. The team behind Dive Into Lembeh have been operating in the Lembeh Strait for many years, earning them a well-deserved reputation for high-standards and professionalism. 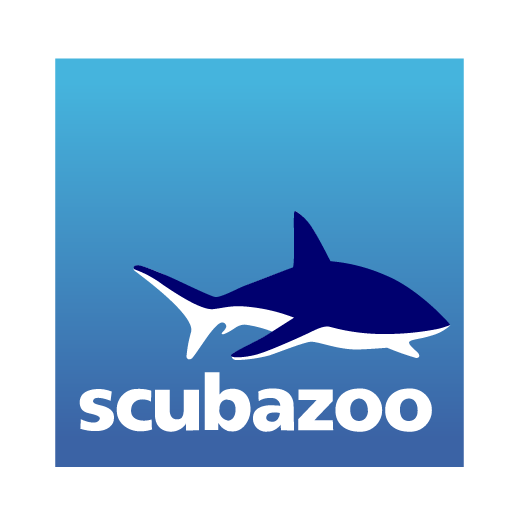 Their experience shines through in a smoothly-run dive service, perfectly setup for photographers and macro enthusiasts. The fully-equipped dive centre has a huge camera room with plenty of work space and dedicated camera rinse tanks. There is also a guest dive gear locker room, with gear rinse tanks and showers for after the dive. All of the dive guides are trained in camera handling and are specialised in working in Lembeh’s unique underwater environment. The resort has 6 guides and 2 instructors and guarantees small dive groups and a guest to guide ratio of 3-to-1. Dive Into Lembeh schedules 3 dives per day using its twin-engine fibreglass boats, giving guests speedy access to the Lembeh Strait’s 50+ dive sites. The boats return to the resort between dives so divers can relax in the pool, work on their camera gear or grab a coffee and snack. A boat night dive is offered everyday, provided there is a minimum of two divers interested. Guests that have prebooked a diving package have free access to the resort’s two world famous house reef dive sites - Hairball and Aw Shuck - from 07:30 AM – 18.00 PM. As a new resort, the company has been focused on getting the operations up and running, but will start to focus other concerns in 2018 and onwards. Dive Into Lembeh does what it can to recycle plastic waste and encourages guests to consider water and electricity use by tuning off aircon when they are out of the room. The resort also runs daily underwater cleanups on the local dive sites. 95% of the resort’s staff are from the local villages and the material used in the construction of the resort was sourced in the local area. The resort uses energy efficient appliances whenever possible and recycles waste when it can. Dive Into Lembeh has stopped using single-use plastics within the resort and provides guests with reusable bottles for personal use, along with water refill stations around the resort. 95% of the resort staff are from the local villages and the resort trains and educates its staff about issues around waste and the marine environment. The resort buys produce from the local markets whenever possible. The resort employs strict guidelines for divers and snorkelers and conducts daily underwater cleanups on the house reefs. For serious muck divers, combination holidays with Dive Into Lembeh’s partner resort - Dive Into Ambon - can easily be arranged. Take a late afternoon expedition to Tangkoko National Park to look for the world’s smallest nocturnal primate – Sulawesi’s endemic spectral tarsier. Consider brining a 5mm wetsuit for the long much dives at Lembeh - it is very easy to feel the chill after an hour or more spent hunting for critters. Extend your stay and explore all that Lembeh has to offer. Accommodation in a sea view bungalow with 6 full diving days, 18 guided dives and unlimited diving on the house reefs. Upgrades are available for nitrox fills per day, single supplement, and accommodation in a Panorama View Bungalow. The prefect length of time to get a taste of what Lembeh has to offer. 5 nights accommodation in a sea view bungalow with 4 full diving days, 12 guided dives and unlimited diving on the house reefs. Upgrades are available for nitrox fills per day, single supplement, and accommodation in a Panorama View Bungalow.